Discussion in 'General' started by Chris D., Jan 30, 2019. I have a friend (now 95) who was a member of the Home Guard in Northumberland. He cannot recall if he had a service number or was entitled to any medal(s) for his participation in the service. 2. How would he apply? The Home Guard was part of the British Army and, as such, any member of the Home Guard has the same medal entitlement as a member of the regular army. Unfortunately as the Home Guard did not serve overseas the only medal which they were definitely entitled to was the Defence Medal. The qualifying period for the Defence Medal for members of the Home Guard, was three years (1080 days) service between 14th May, 1940 and 31st December, 1944 (when the Home Guard was stood down). 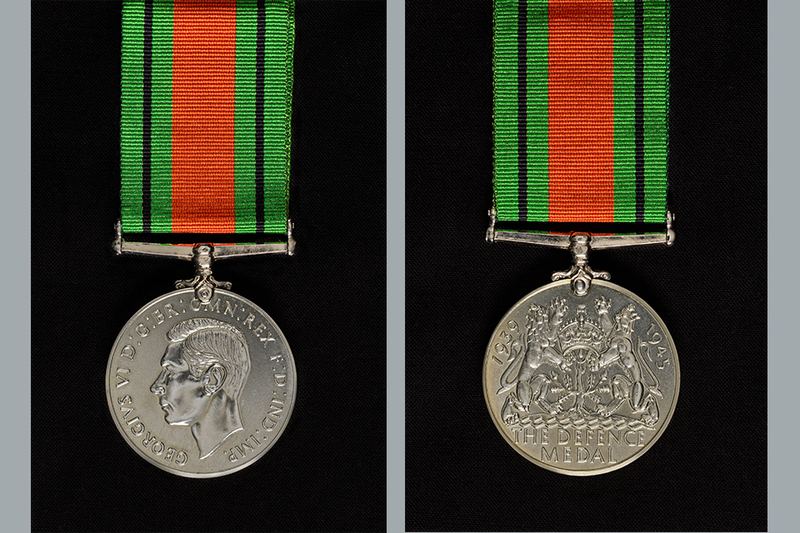 A special award of the Medal was made to personnel whose service was terminated before three years by death or wounds due to enemy action whilst on duty, or who were awarded an honour, decoration or King's Commendation. The Medal was not issued automatically and award depended upon a claim by an individual. Many thanks, I will check with him his length of service. CL1 and timuk like this. In case not covered by any of the foregoing links, his length of service should also be clearly stated on his demob letter of thanks from the King - so maybe still right under his nose with no need to go asking about that. Let's just say the Army dropped a clanger in my dad's case and a photocopy of his his letter was what finally convinced Glasgow's misinformed 'desk jockeys'. Nor forget, almost certainly BTW, that he should also be entitled to a basic War Medal - only requiring "28 days of service". Members of the Home Guard were not entitled to the War Medal unless they qualified by service in the Armed Forces or Merchant Navy. But they were entitled to the Defence Medal as a minimum. The Defence Medal was awarded for non-operational service in the Armed Forces, the Home Guard, the Civil Defence Service and other approved civilian services during the period from 3 September 1939 to 8 May 1945 (2 September 1945 for those serving in certain specified territories in the Far East and the Pacific), with an earlier end date for members of organisations that stood-down before May 1945. By way of explanation, my dad atypically progressed from RE/RA searchlight service to the HG after his employer finally managed to reclaim him for his reserved occupation. It was their obligatory biannual reapplications, just to hold on to him, that discombobulated the post-war record-keepers who had lost most of them and so were simply not in possession of all the relevant facts - presumably due to overzealous weeding.